Jarrow Formulas Adrenal Optimizer : the adrenal glands produce hormones that underlie the body's mechanisms for coping with physical and mental stress. Overtraining in athletics, chronic anxiety, worry, nervous tension and other factors associated with excessive cortisol release are linked to adrenal exhaustion and fatigue. Over-reliance on caffeine and other stimulants also taxes the adrenals. 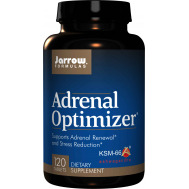 Jarrow Formulas Adrenal Optimizer combines important nutrients and nutraceuticals that support adrenal health, as well as help in the recovery of stressed adrenal glands. Vitamin C, DMAE and pantothenic acid participate in the synthesis and release of adrenal hormones. Traditional healing systems, both Eastern and Western, advise the use of adaptogenic herbs that help the body to relax and rebuild. Adrenal Optimizer® works best when taken over an extended period of time and combined with adequate rest and sound nutrition. who benefits from using Adrenal Optimizer? anyone seeking a product that provides a full spectrum of nutrients for adrenal support and managing various forms of short term stress, may benefit from using Adrenal Optimizer. how does each active ingredient function in Adrenal Optimizer? • Ashwagandha eases short-term stress, promotes normal levels of inflammation, promotes a healthy outlook, supports cognitive health, and increases physical endurance. • Rhodiola Rosea supports nervous and cardiovascular health and promotes normal neurotransmitter and HPA (Hypothalamic–pituitary–adrenal) axis function, positive mood, energy levels, and longevity. • Eleuthero Promotes cognitive health, adrenal health, endurance, and cardiovascular resilience. • Chamomile is used traditionally to promote a calm mood. 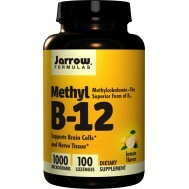 • Licorice promotes a calm and healthy mood. • Schizandra promotes a calm and healthy mood. • Shatavari improves general resistance, promotes normal immunity, and offers antioxidant protection. Recurrent increases in stress levels, both from psychological and physiological sources, can result in excess cortisol production, leading to a disrupted homeostasis and directly affecting the HPA axis, nervous system, and an array of other body systems. Adrenal Optimizer ® helps combat these effects by offering a blend of renowned herbal adaptogens and essential nutrients for complete stress support and adrenal renewal, as well as increased energy and endurance. 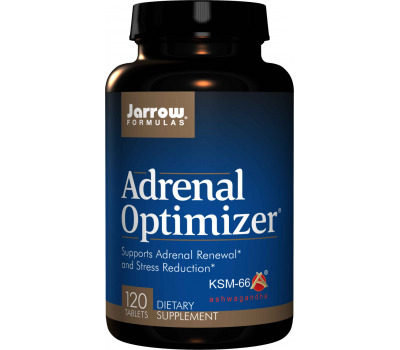 In addition to the stress-fighting compounds in key ingredients, such as Eleuthero and Rhodiola rosea , Jarrow Formulas’ Adrenal Optimizer contains KSM-66, the high-concentration Ashwagandha extract. Using only the roots of the ashwagandha plant, extracted in an alcohol and chemical free process, KSM-66 has been clinically shown to ease short-term stress, promote normal levels of inflammation, promote a healthy outlook, support cognitive health, and increase physical endurance. Recognized for centuries by practitioners of Ayurvedic medicine for its potent adaptogenic qualities, ashwagandha promotes physical and mental health, and augments resistance against diverse environmental factors, revitalizing the body and supporting longevity. Rhodiola rosea also has been studied for its performance-enhancing capabilities, as well as its therapeutic properties. A variety of studies have shown that Rhodiola rosea supports nervous and cardiovascular health, promotes normal neurotransmitter and hypothalamic- pituitary-adrenal axis function, as well as positive mood, optimal energy levels, and even longevity. It also possesses an impressive safety profile, making it an attractive choice for managing the effects of stressors. The Rhodiola rosea in Adrenal Optimizer contains the three active compounds which work synergistically to best promote endurance and increased energy levels, including rosavin (shown to help promote a healthy mood), rosin, and rosarin. Eleutherococcus senticosus (formerly known as Siberian Ginseng) is also known for its powerful adaptogenic qualities. It imparts biphasic effects on the stress response by interacting with the positive and negative feedback mechanisms of the HPA axis. This gentle and traditional household herb has long been known for its calming effects. A 2012 publication reported a significantly greater improvement in total mood scores in a study comparing chamomile to placebo (Amsterdam et al 2012). In another animal study on chamomile and stress, mice that cohabitated with a sick cage-mate showed a decrease in their general activity, but those treated with chamomile had improved outcomes. Gotu Kola or Centella asiaica , has been used for thousands of years in Ayurvedic medicine for its ability to promote a calm and healthy mood. A 2010 human study evaluated the role of a 70% gotu kola extract on 33 participants given a regimen of the herb at 500 mg twice a day. They found it to significantly improve mood, sense of calm and well-being. Furthermore, an animal study found gotu kola to support overall mood in both acutely and chronically stressed mice. Known to support a healthy stress response and immunity, licorice (or Glycyrrhizin), has been specifically found in studies to lead to dose-dependent decreases in concentrations of cortisol, ACTH, aldosterone and K. The herb contains a number of active compounds that support immunity and endocrine health. 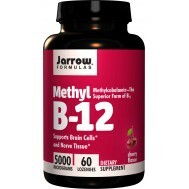 It also promotes the body’s resistance to short term fatigue and helps maintain hormonal levels within normal range. Schizandra possesses adaptogenic properties that allow it to support resistance to a variety of stressors. Shatavari (Asparagus racemosus) has been used extensively as an adaptogen in Eastern medicine to increase the non-specific resistance of organisms against a variety of stressors. 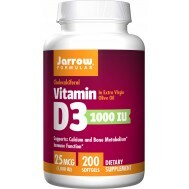 The plant also has potent antioxidant and immune-supporting effects, and a number of studies investigating the effects of shatavari on stress-induced physiological changes found it to be significantly supportive. Finally, vitamins C and pantethine play essential roles in adrenal health by participating in the synthesis and release of adrenal hormones. Pantothenic acid is essential to the adrenal glands for production of the glucocorticoids through its formation of pantethine, a necessary precursor to coenzyme A and phosphopantethine, critical to numerous acylation reactions in the body. 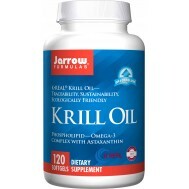 Jarrow Formulas’ Adrenal Optimizer provides key ingredients, including Eleuthero and Rhodiola rosea, and the highest-concentration Ashwagandha extract, KSM-66, to ease short-term stress, promote normal levels of inflammation, promote a healthy outlook, support cognitive health, and increase physical endurance. With traditional ingredients and cutting edge nutraceuticals backed by research, Adrenal Optimizer is an ideal solution for wide spectrum adrenal support.